The annual presentation evening is usually held in October. In 2018 it was held on Friday November 9, at Aston Wood Golf Club. Photos from this event can be viewed here. 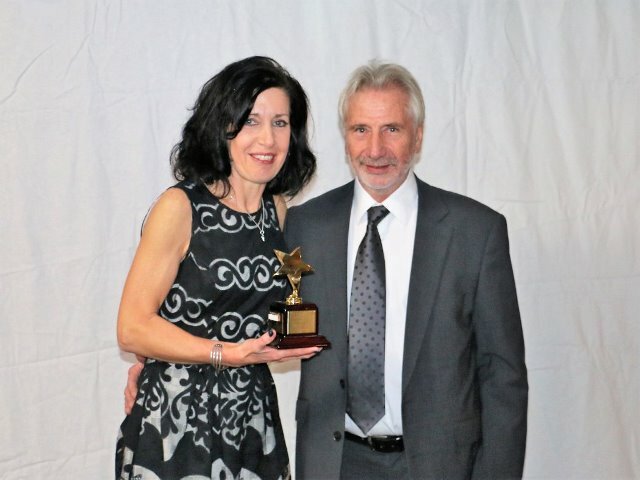 Photos from previous years’ events are on Photobucket under ‘Presentation Evening’. Historical records of trophy winners can be found here. 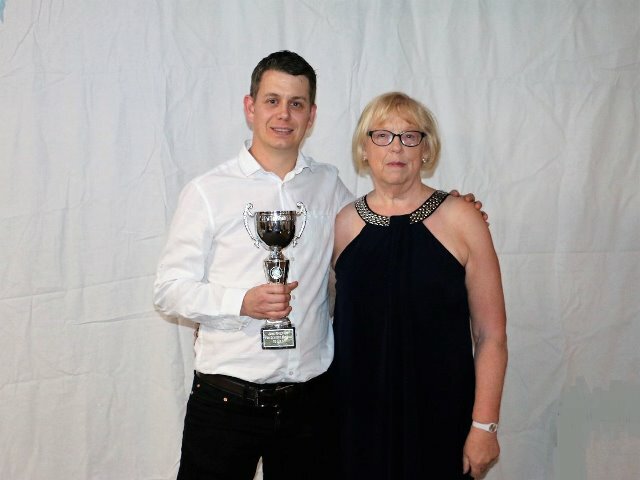 This trophy is presented annually to ‘the member of the year’, the person who fellow members feel has contributed the most to the club in the previous year, continuing the traditions upon which the club was founded. The recipient is nominated by club members and voted for at the club’s AGM. 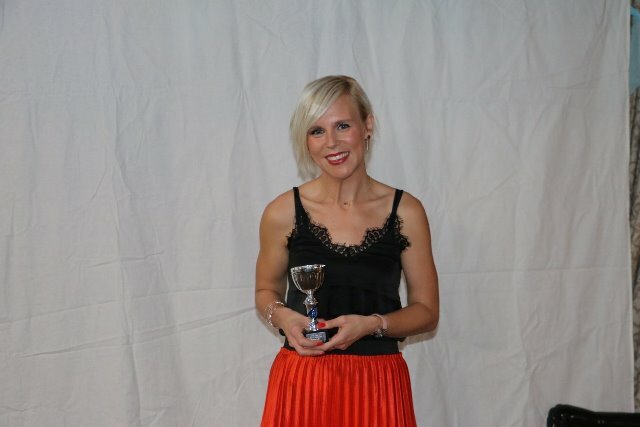 The trophy is presented by Laureen Tunstall, Paul's sister, and is announced by the previous year's winner. This person is chosen by the Committee for their commitment and achievements for the club and has been presented to a male member from 2011. This person is chosen by the Committee for their commitment and achievements for the club and has been presented to a female member from 2011. The cup is presented by Dave Buckerfield. The pothunter trophy goes to the member with the most points who has not qualified for an overall or age category prize. 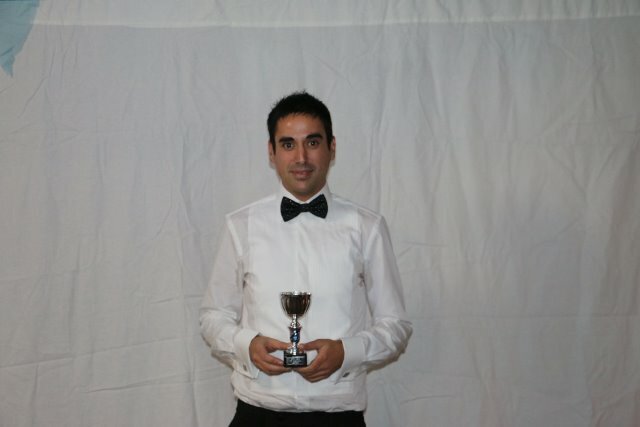 The novice trophy goes to a member who has not won an ARC award before but has shown commitment and achievement in the Grand Prix. 4.3k: Pete Kelsall and Rebecca Beale. Ron Reynolds organised the club handicap races, which were run monthly from April until September. Individual race winners for 2017/18 were: Leigh Ally, Judith Toase, Andrew Fisher, Rebecca Steele, Kay McHugh, and Martin Wall. The final overall winner was: Kay McHugh. 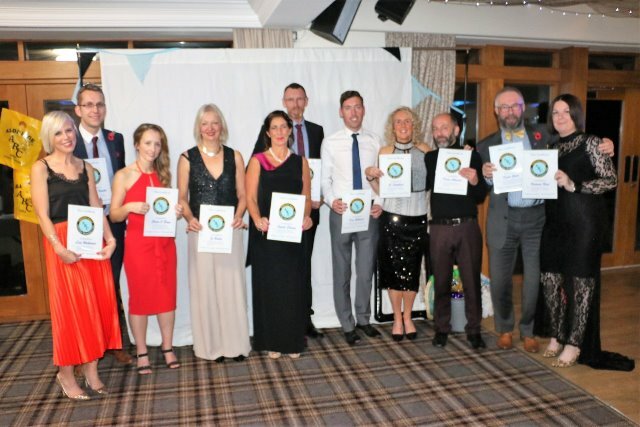 New for 2018 we awarded certificates to those who achieved the best results for 5k, 10k, Half Marathon and Marathon for the calendar year 2017. This will continue annually and the table of club records can be viewed here. Special mention was made of Colin Jackson and Mike Rogers, whose awards were given for long service to the club, as Mike has now moved away from the area and Colin has retired from running. ​The men's team finished in 4th place in the 3rd division, missing out on promotion by 1 place for the second consecutive year. Pictured: Leigh Ally. 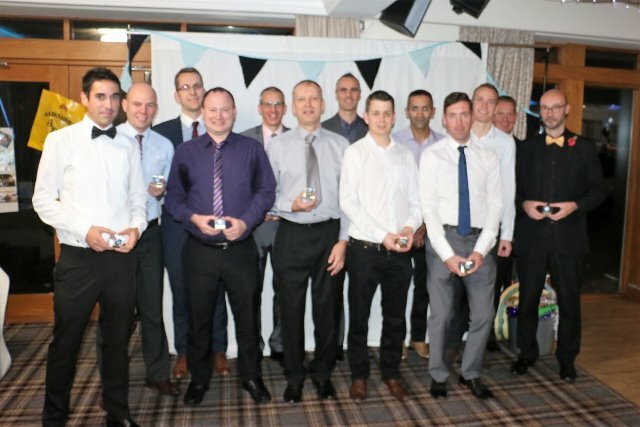 Steve Blakemore, Mark O'Rourke, Martin Wall, Dave McHugh, Lawrence Hewitt, Kevin Adams, Toby Oury, Mandip Thandi, Dan Williams, Liam Harrold, Simon Hudson (captain), and Paul Allen. ​The team also included Brett Antill, Richard Deeley, Eddie Evitt, Trevor Harris, Richard Lodge, Paul Lucas, Eamon Lyons, Mike Rogers, ​Mark Shaw and Michael Smith. The ladies' team finished 12th out of 25 clubs in the 2nd Division, and 9th out of 14 Masters' teams. 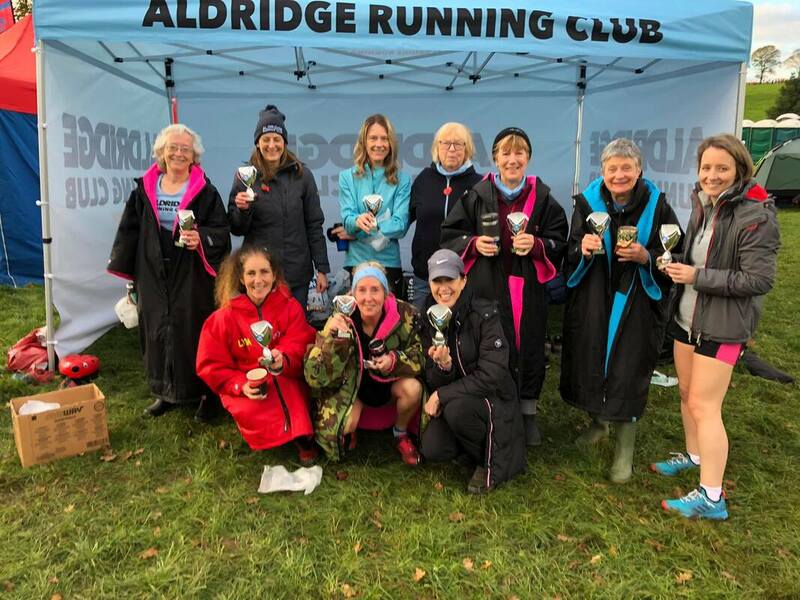 ​Pictured: Karen Kiteley, Jo Yarnall, Claire O'Brien, Laura Kirwan, Helen Hirst, Katie McBeth, Sarah Hinkley, Rebecca Grimshaw, Rossella Bigongiari, Lynda Elmore, Viki Dobbs, Anne Kelsall (captain), Abby Wright, Jo Dulson-Cox, and Nicola James. The 2017/18 award went to Lynda Elmore.